HawaiiGolfDeals is proud of our long-standing association with Alamo Hawaii car rentals (“car hire” to our friends from Downunder). Since 1994, we have endeavored to offer the best deals on the best vehicles for golfers. After all, golfers need space for those clubs that whack dimpled spheres across verdant fairways. 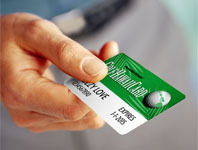 By BUNDLING an vehicle with at least one GolfHawaiiCard or other golf options—you’ll save even more! While we can book you in any Alamo Hawaii car rentals at excellent savings, our bundles generally offer superior and unrivaled savings on Alamo fullsize cars and minivans (according to the size of your party). Once you have checked in at the Alamo terminal, you’ll select the vehicle of your choice from the Alamo lot. If we book you in a fullsize car, choose any fullsize, standard or midsize car that inspires you. We are partial to the Nissan Altima and Hyundai Sonata for quiet roomy interiors, large trunks and superb gas mileage. There is no limit to how many Alamo Hawaii car rentals you may book with us and no limit to how many GOLFHAWAIICARDs, or golf options, may be included in the BUNDLE. To get a quote, just use our QUICK QUOTE Form. We generally respond within one business day. HawaiiGolfDeals does NOT recommend economy or compact cars for golfers due to the lack of trunk/cargo space. Furthermore, the savings from our special fullsize rates to a compact car is only about $2 daily/$10 weekly. The following items are NOT INCLUDED: Fuel, insurance, optional equipment (i.e. GPS and child safety seats), overtime charges, and drop charges (at locations other than the pickup location). Parking and traffic violations are at all times the responsibility of the renter. Upon request, HawaiiGolfDeals offers quotes which include Collision Damage Waiver (“CDW”). 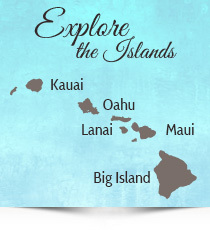 This is especially recommended for our foreign guests’ Hawaii car rentals.